When you become a good archer, you can enjoy hunting with different types of bows. Here we will tell you what kind of bow is used for hunting? Plenty of archeries are available on the market that is categories according to a skill such as archery for beginners, moderates, and for experts. If you are new to archery, then maybe you are confused to satisfy yourself about the types of bows? Here, you will find in-depth detail of different types of bows for hunting. These include bow, crossbow, self-bow, traditional bow, compound bow, archery bows, longbow, recurve bow, takedown bow, Yumi, and much more. Plenty of types are available, which are categories according to the description, material, and classes compositions. Read the details of modern and traditional bow types to find out which bow is best for beginners. The Recurve bows are mostly used at the Olympics because this style of bow is officially allowed. This type of bow has a curve towards the archer that’s why we called it Recurve bows. The limbs tip is curved back the other way, which deliver speed and powerful shot after releasing the arrow. In the modern recurve bow, you can remove the bottom of the limb. These bows are made of magnesium, aluminum, wood, carbon fiber, and specialist alloy. The limbs are made from graphite, glass, and other laminated composite materials. Moreover, those archers who are more experienced can use it with confidence. It comes with range finders, sights, weights, pressure button, stabilizers fitted, clickers, and slicers. The traditional recurve bow is made of a single piece of wood such as Turkish and Mongolian. This is the best hunting weapon that is being used a hundred years ago. Recently, most of the hunters and archers are also using it. However, you’ll need a special set of skills and practices to use this kind of bow as a hunting weapon. In the compound bows, the pulley or cam system is placed at the top of the limbs. This system assists the archer whenever they drawing the bow. It multiplies the stored power in the limbs, which is forwarded to the string. What’s the real story … when the archer releases the arrow, it consumes less effort and allow for a powerful shot. You can easily hold the string for long periods in the drawn position. The crossbows are the modern type of bows that looks like a rifle or a gun. It works according to a mechanism that permits the string to be pulled back as well as latched into position until the trigger is pressed. The crossbow type is referred to as bolts and pulling the trigger on it is referred to as fire the bolt. The alternative name of a crossbow is pistol crossbow because it resembles like a pistol. A compound crossbow comes with a cam or pulley system. This system is placed at the end of the limbs. It decreases the draw weight as well as enhances the power of the shot. The superior quality cable allows the archer to hold heavy draw weight. In addition to that, the aluminum, carbon, fiberglass, and magnesium are used to construct this lightweight weapon for hunters. This more energy efficient that increase the accuracy rate. Old school hunters still like to use traditional bows for hunting. Here you will learn about different types of traditional bows in case you want to use them. The longbows are the types of the traditional bow that are made from different materials such as yew & wych elm woods. The English longbow is the best example of a traditional bow. Recent longbows are constructed by using different laminated materials that present stronger results and lighter weapon for hunting. The limbs of the longbow come in a round shape that is not recurve but gives the D shape to the bow. The flatbows were the traditional weapon of Native America. Therefore, you can call it the American Flatbows. The limb of the bow comes with a rectangular shape that gives the bow flat look. This wider bow has a handle that provides an excellent grip to the hunters. The martial art in Japanese is known as Kyudo, which means the way of the bow. It is similar to longbow but the main difference is the shape. The Kyudo bow comes with rounded limbs and one bow has 2m height. Additionally, the bamboo material is used to construct this traditional bow. This material is easily damaged so, the recent Kyudo bows are made from carbon fiber or fiberglass. The reflex bow has a curved arm, which faces away from the hunter. The whole body of the reflex bow will bend forward and presents a C like a shape whenever you take the string off. The material presents the bow that has a large draw height as well as a long draw length. It allows you to shoot at the greater speed and consumes less energy or power of the hunter. Multiple types of material are combined together to manufacture bows. These materials include fiberglass, wood, composite, laminated materials, and much more. Let’s find out which type of material is used in different bows. The wood is the most commonly used material to construct traditional bows. Numerous types of the bow are constructed by using wood. These include Yumi, flatbows, and longbow. In some bows, the limbs of these bows have graphite or solid glass by using an extrusion process. These materials have different properties and strength. They provide a different power and feels to the bow as well. The composite bow features different materials such as wood, fiberglass, etc. It offers great flexibility and strength to the bow as compared to the single material bows. The fiberglass has more powerful properties as compared to wood material. The fiberglass bows come with stronger and versatile limbs. Nevertheless, it is not the best or superior material for design high-end advance bows. This type of material is standard for construction of toys and other bows that are generally cheaper than others. Lamination is the technique of laying the bows with different materials. The manufacturer can use the heated mechanism, others can use glue, and remaining chooses the welded technique to design the bow for hunting. The design of the crossbow is simple with easy to shoot and accuracy features. It comes with a compact frame that allows you to hunt in tight spaces easily and quickly. The crossbow provides greater draw weight that offers more kinetic energy as compared to other bows. You will feel like you are hunting with a rifle and shotgun due to the shape of the crossbow. The cocking process of a crossbow is very slow. You’ll need a cocking rope or device to pull back the string of crossbow. Crossbows are a heavier option to hunt and also relatively noisy. Most states apply a limit to the draw weight while other states allow using in some special circumstance. The compound bow is a great and powerful tool for hunting that uses a levering system, typically of cables and pulleys, to bend the limbs. It is a lightweight and quieter option but you need more practice and skills to make an accurate shot. You don’t need any special skill to load it. You have to pull the arrow and draw back again to reload it where no cocking and cranking device is necessary. You can reload compound bows quickly because it does not require any kind of cocking or cranking device. The material makes it lighter; therefore, it is easy to shoot with compound bows. When the bowstring is half down, the draw weight of compound bows decreases to half making it easier to draw and hold the heavy bow. You need a special technique and a great amount of practice to operate the compound bow. You need to nock an arrow as well as a draw for shooting. Most hunters face multiple physical limitations so, in this situation, it is trouble to operate compound bow. Now you have to choose the best type of bow according to your requirement because obviously, both have their own advantage and disadvantage. The biggest advantage of the crossbow over the compound bow is the capability to maintain a loaded and ready to fire feature. When we talk about the compound bow it is faster in loading. In addition to that, compound bows are quieter and lighter than the crossbow, but it requires training and practice to use it in an efficient manner. You don’t need any special mechanism to load the compound bows. On the other hand, you do require a special mechanism to load the crossbows. Actually, both crossbow and compound bows are useful choices and it is difficult to choose between them. But if we have to pick one then we’d go for crossbows. Don’t only focus on the types, there are many other elements involves when it comes to choosing the best bow for hunting. All the bows use different materials because they come with different properties and strength. It doesn’t matter what type of bow you opt, bow hunting is a rewarding activity. This activity brings you closer to the beast feast and nature. 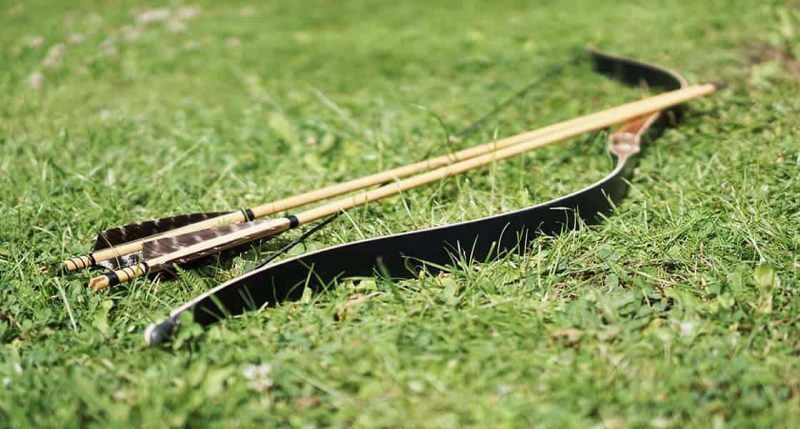 For the beginner’s both crossbow and compound bow are ideal but if you are up for any kind of physical challenge, the recurve or longbow is the better option for you.